One of the best aspects of cruising is friends…. traveling with friends, meeting new friends and re-connecting with old friends. Today’s digital world also provides the opportunity to form and maintain many “pen-pal” friendships via the Island Packet E-mail list. It is wonderful when we actually meet those digital friends in person. Here’s a sample of our valued friendships from the month of January! 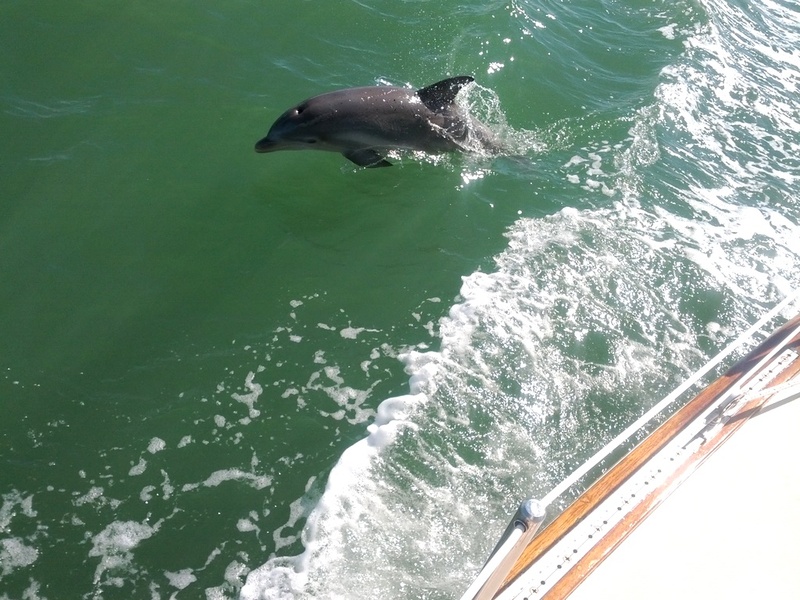 Our new dolphin friend accompanied us into Pelican Bay’s emerald waters. We hope to share more anchorages and meet more Island Packet Friends as we continue with year one of our life aboard! Thank you for sharing the joy of cruising and IP ownership…. OK now really…. How long did you have to stand there and how many missed shots did it take to finally get the dolphin jumping out of the water? Great shot! I hear the Flipper Theme Song Playing!